If YOU are seeking to Start, Restart or Rise in your career, Praxis welcomes you to explore with us the exciting career opportunities offered in the ever growing domain of Analytics & Data Science. Topics include (but are not limited to) Machine Learning, AI, data science and how to prepare oneself for these areas through education. Come join and learn with us. Praxis Business School is a pioneer in data science education and offers a comprehensive full-time Post-Graduate Program in Data Science with ML & AI, aimed at helping participants transition to their first job in data science. The program is widely accepted by the industry is listed consistently among the top 5 courses in analytics in the country. 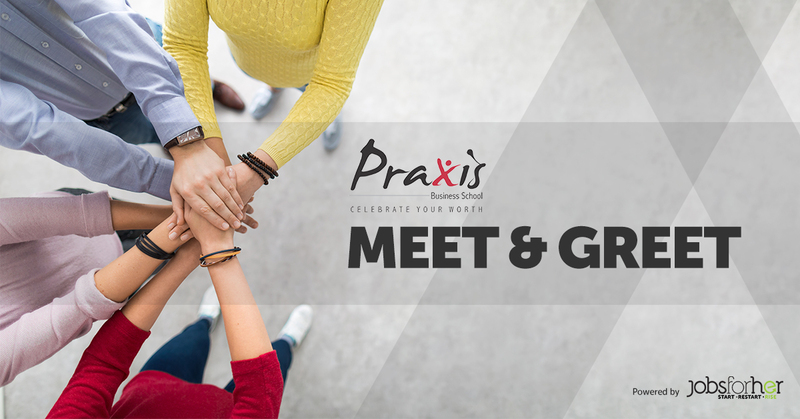 Praxis brings to you an opportunity to interact with industry leaders from renowned organizations and Praxis alumni members to help you evaluate data science as a career option for you. This session would help the participants understand what is data science, what does a data scientist do, what are the skills required to be successful, and what does the recruiter expect from the applicant seeking a job in data science. The session would help participants understand about the pre-requisites, eligibility criteria, selection process, course coverage and placement performance of the Praxis Data Science Program.